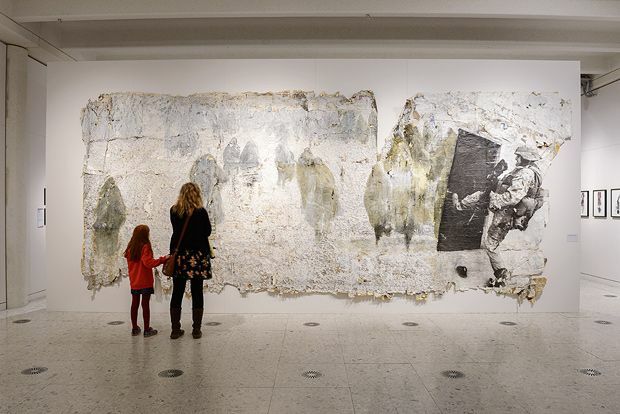 The Herbert Art Gallery and Museum is an award-winning venue that celebrates the city's culture, history and arts, pulling in more than 800,000 visitors each year. It includes gallery space as well as a permanent exhibition including natural history, a 20th century collection and one room of 18th and 19th century pictures. Situated next to the cathedral, the museum and art gallery is five minutes walk from Pool Meadow bus station. There are also several pay and display car parks within walking distance. Children's Art Week is a UK-wide programme run by Engage, the National Association for Gallery Education. To celebrate this week long event pop into the Herbert and sketch a selfie to add to our growing display of children’s art work along our Studio Corridor on the first floor of the museum. Discover the techniques needed to cut the design and create a relief surface, and experiment with inking and printing. Take home your handiwork and a new skill at the end of the day. Suitable for complete beginners and those looking to refresh or develop skills. All materials provided. Join Victoria Northridge, Archivist Manager at Coventry Archives for a talk about the recently grade II listed Marks and Spencer building which opened in 1954. Learn more about the architect, see original drawing plans and find out what people thought of the shop when it first opened.
" The acclaimed wildlife photography exhibition from the Natural History Museum is back with 100 stunning images. " From breathtaking animal portraits and dramatic landscapes, to bizarre species and endangered habitats, this exhibition showcases the most arresting and spectacular images of our natural world.